Are you in a hunt for a basketball shoe that will suit your needs on and off the court? 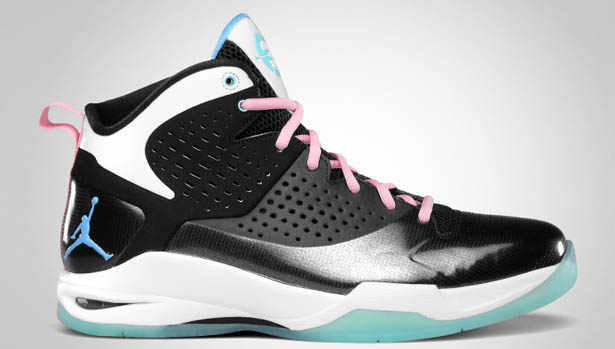 If you are then should strongly consider buying the Jordan Fly Wade that was recently released with a new attractive colourway this July 2011. Dwyane Wade himself said that this shoe will give you everything you need. “I think this shoe not only has all the things I need to play basketball, but it has the initial look that can make it a very great product on and off the court,” Wade said. With that said, the Black/University Blue – Copa Blue – Perfect Pink colourway of Wade’s first signature shoe with the Jordan Brand is expected to be a hit in the market not only this July, but also for the months to come. So what are you waiting for? Grab yours now and you will never regret it!